For the past few months, the trio of sisters, Haim, have been releasing some really good singles. The more they release, the more excited people are about a full project from this indie group. Yet, just like any indie group, there are producers out there with the right skills and ear for making a solid remix. 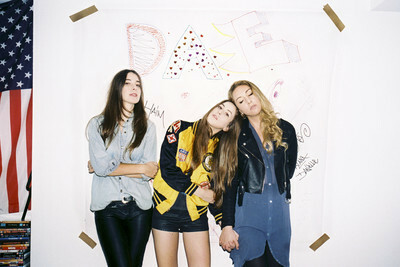 Haim's "Don't Save Me" gets remixed by Swedish producer Cyril Hahn, who gave it an upbeat dance feel. The combo of his beat and the vocals from Haim are a perfect combo, which you can hear for yourself below.